The quote is a bit extreme, but within it lies a simple truth: we have made men who are square and women who are round. It is very difficult to fit into this paradigm and putting the two together to live happily ever after has proven to be disastrous. Our past archetypes of men and women are dead. We have to create our own working models from within. In the search for meaning and answers to my deepest questions, I found Lisa Michaels and her Priestess Process Training Course. It was through this process that I met Cayelin Castell and became a member of the Shamanic Astrology Mystery School. With my prior experience in astrology and the easy to follow format of SAMS, I began to read the charts of my clients and friends. The natal chart became a tool or a map for conscious evolution. Through this embodiment process, you will begin awakening your unique essence through alchemy between the Venus/Mars and rising signs with respect for your Moon position as your lineage. You will clear old programming while becoming the author of our own life story. The Moon position tells us the lineage or what a person is born being a master of. As a woman, Cancer Moon is considered highly desirable and celebrated. She will likely be extremely nurturing, loving, attentive to the needs of the family and home. For a man, Aries Moon has been highly prized for his warrior like presence, fierce protection, and motivation to get things accomplished. If you were born with one of these, you were probably validated for your innate abilities to fit in with what was expected of a young girl or boy. What happens when you wake up and realize you are either bored or no longer being validated for these skills? Conversely, have you been spending unnecessary energy trying to fit culturally imposed expectations? Many boys grow up with strong connections to the more sensitive signs and women with the more aggressive signs. How has this affected you? Understanding your Moon position will validate what you already intuitively know about your deeply seeded ways of relating. I have a Cancer Moon, which like Pisces has been celebrated in our culture as acceptable forms of the feminine. She is adept at cooking, cleaning, care-taking and empathing what others may want next. She will bend in any way to make you feel comfortable, happy, and satisfied. It was second nature (second to breathing) for me to be of service. In my relationships with past lovers, these behaviors were rewarded with admiration, affection, and things that I considered to be love. My last relationship was the exception. He seemed to expect these behaviors from me and why wouldn't he? It was who I was! Once I realized that he was content with the bounty of my giving and had no desire to reciprocate or even cover his own expenses for basic needs, I decided to stop. For years, this was the way I showed love and suddenly, I was no longer being validated for my nurturing skills. I had no idea how to show love in ways that felt authentic to me. I learned about the Sacred Marriage and more recently began working on transformation of my base identity through this Venus Rising material. Enter your birth information here and get a print of your natal chart. 1) Locate your Moon. Take a moment to connect to your soul lineage. Notice your past relationship to these qualities and traits as well as those that you presently carry. Write down anything that you feel in regards to your Moon position. Give thanks for the tribe of your Moon position and the many ways this lineage has and does support you. 2) Next, locate your Rising or Ascendant. If you are looking at a whole house system wheel, your Ascendant will be in the 1st house. Write down the sign position of the Ascendant and anything that the sign provokes in you. This is what you are learning to master in this lifetime. It may be helpful to draw or print images of anything that represents your Ascendant. 3) If you are a woman, you will next locate your Venus position. The sign Venus is in gives clues about the form of the Goddess you are representing, or your inner feminine. 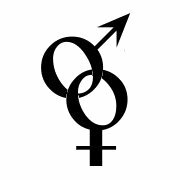 For men, locate your Mars position which gives clues about the form of the God you are representing or your inner masculine. Draw or print an image that represents this material for you. 4) Consider the idea of alchemical transformation. Basic alchemy requires 3 things: A container, the substance to be transformed, and energy. a) Use your awareness as the container; b) your Venus or Mars combined with your Rising sign as the substance to be transformed; and c) your intention as the energy for transformation. 5) Hold these 3 things together for as long as possible as many times per day until it becomes part of your new perception. Sounds simple. But the amount of time a human is able to hold awareness on a particular subject is very short. About 6 seconds or so. So this method of internal alchemy is simple yet profound when we practice and take it seriously. I personally made a collage of images that represented my Venus and Rising and placed that on my altar. An altar will alter your perception. I highly recommend making one for yourself and placing items on that altar that represent the new hybrid form of your VenusRising or MarsRising. After almost 3 years, I still work with this material. The Rising sign is meant to be an ongoing learning about "Who am I?" Combining my Aquarius Venus with Taurus Rising gives me a form of the feminine who is the Cosmic Tantrika. I accept and appreciate those things about me that have long been put down and not widely celebrated about my VenusRising while having deep respect and gratitude for my Cancer Moon lineage. The lineage of the Moon will always be settled into the psyche. My intention is to do more of the Aquarius (Venus) and Taurus (Rising) activities. This can be a sudden transformation in perception or a slow steady one. Either way, I am certain that you will begin to open up to whole new ways of relating to yourself and the world. "She was so intelligent that she could think herself into beauty. Intelligence...they don't talk about it much, the poets, but when a woman is intelligent and passionate and good..."
This article copyright © 2016 Anjani S Siegrist. All rights reserved. Reproduction without permission prohibited. Anjani S Siegrist has been practicing the healing arts professionally for over 16 years and has been fully self-employed for over 4 years. She continues to study and teach many topics for self-empowerment including Ayurveda, Astrology, Shamanic Journeying, Yoga Philosophy, and Psychosomatic Release as it applies to bodywork. She is currently teaching courses and a mentorship program that can be accessed online. The premise of her work is geared toward teaching techniques and tools to develop and access your own intuition, make suitable nutrition choices, and live in rhythm with nature. Anjani lives near the beach in San Diego, California, with her children and a terrier pup. You can find out more about her work at www.anjanisiegrist.com. Copyright © 1997-2019 Ed Perrone. All rights reserved.